At SciChart we focus on providing high performance chart components. Our software is field tested by Hedge Funds, Investment Banks, Proprietary Trading Firms and Commodity Trading firms around the world. Read on to find out why SciChart is Perfect for Finance and Trading Applications. Before SciChart was created, most chart components have only very basic candlestick chart functionality and are not well suited to creating fully featured trading applications. Having too few features for trading charts results in poor user experience when creating a stock trading, forex or CFD trading app. SciChart provides a High Performance, Realtime, Feature-rich Chart Component with stock-chart specific features, for developers building Financial & Trading Apps on Windows (WPF), and Mobile (iOS/Android). Get started right away creating your first trading app using SciCharts Powerful Charts. These features make SciChart the Perfect Choice for Financial & demanding trading applications requiring high-performance charts on the Windows and Mobile platforms. SciChart ships with a number of examples and demos that showcase the capabilities of our WPF, iOS & Android charts for creating trading apps. If you've got a question, or would like to learn more, please Contact Sales! Create Interactive Trading Apps with SciChart iOS & Android. In SciChart iOS & Android's Showcase application, we show you how to create a multi-paned stock chart app which allows you to select instrument, add/remove indicators and add annotations. Create Real-time Ticking Stock Charts with SciChart WPF. In SciChart WPF's Examples Suite, one of our demos shows realtime updating of a stock chart, while allowing zooming, panning and tooltips. This demo is also available for iOS & Android. Read a Case Study: iOS & Android Trading App. One of our customers created a trading app using SciChart iOS & Android which allows overlaying indicators on the chart, real-time updating of prices and placing trades right from your mobile device. Read a Case Study: Custom WPF Market Profile charts. As a consultancy project one of our customers, SciChart developed a new chart type for visualizing market profiles and bid/ask data in financial charts on the WPF Platform. This gave traders fresh insights into data and how market participants were placing their trades. With an extensive list of users who utilized SciChart in their Financial and Trading applications you can be sure that we're the software solution you've been looking for. Not only does SciChart come pre-packed with loads of examples, tutorials and features but our world class support means that you'll be able to get even the most complicated projects off the ground easily. We've also worked with customers before to create bespoke charting solutions displaying custom data and series in a multi-pane fashion! If you're in need of a great charting solution that has been used consistently with great success look no further, our High Performance charts are built for Realtime, Big data environments and can handle anything the markets can generate. The trading annotations are widely used to empower the analysis of trading charts information. They are now included in SciChart drawing tools. - Also, free brush style drawing to mark up the chart. The drawing tools are easy to customize, you can change lines style, thickness and colors. Many of our Customers have created trading and financial apps with SciChart. Have a look at some of the customer success stories below. Quantirica Algorithmic Trading, a consulting company based in Italy with a focus on providing support and financial technology to the private investor, professional trader and institutional structures approached SciChart for a consultancy project. Quantirica required a bespoke charting solution capable of handling live complex market data including price and volume, market profile and Delta & OHLC volume charts. SciChart worked with Quantirica to develop an innovative charting solution which would ultimately be used to make their end users trading experience more successful by becoming a reliable source for successful trading decision making. The solution? A bespoke charting system displaying market profile, cumulative volume data and bid and ask prices concurrently. All Realtime and in one view. Have a look at our in-depth case study to see how our charting solution aided Quantirica in attracting new clients and increasing their current users experience..
MTPredictor is a Bristol, England based Professional Charting Software package. Focusing on a Standalone package and a NinjaTrader plugin, MTPredictor allows end users to Scan, Chart and Analyze trade setups. MTPredictor contacted SciChart due to our focus on usability aligning with their ethos of having a simple, easy to use software package that provides the tools for traders to identify and manage tradable opportunities. 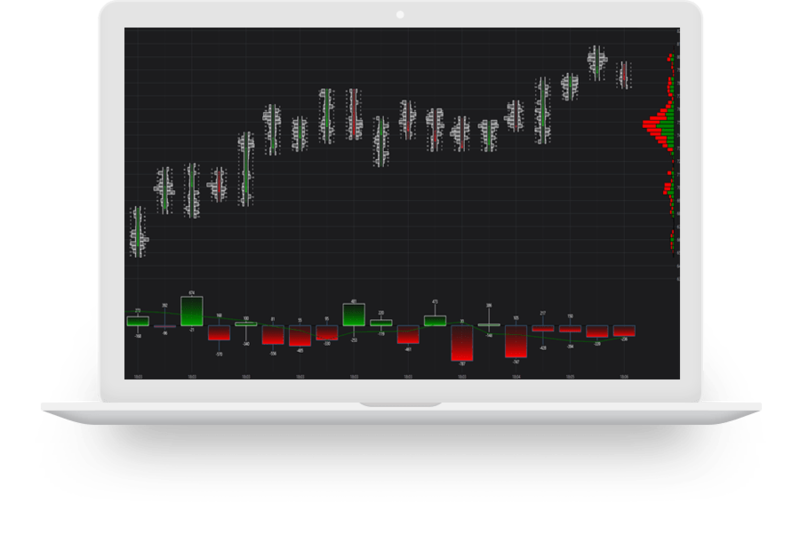 MTPredictor needed a fast and reliable visualizations set up for their trade analysis software that could deliver advanced features and overlaid annotations whilst not sacrificing on speed, functionality or versatility. To learn more about the features that SciChart was able to integrate into their existing package, have a look at our case study. Broctagon Solutions is a conglomerate arm specialising in brokerage solutions and Derivatives market. Stuck on how to create a high-performance Android cross platform trading system due to the limitations of open source charts and the Android Chart Library, Broctagon implemented SciCharts high performance Android package and created a high-end application for their users. Utilising OHLC and candlesticks alongside tooltips to display large datasets in Realtime against custom data, Broctagon needed a charting solution up to the task. If you’d like to learn more about how SciChart upped Broctogans application all on Android, have a look at our case study for more information. SciChart is licensed per developer on a perpetual basis, with no hidden fees or costs after purchase! You are free to redistribute your trading apps you create with SciChart worldwide without royalties or further licensing fees. We offer technical support for our chart controls built into the purchase price so you can be sure we'll help you every step of the way. To find out more about our Cross-Platform Stock Chart components contact us below to ask Sales a question.